Arlington's FLB6230MBLR Cover Kit fits its FLBC4500 and FLBC4502 boxes – and most other manufacturers' 4-1/2" concrete boxes. 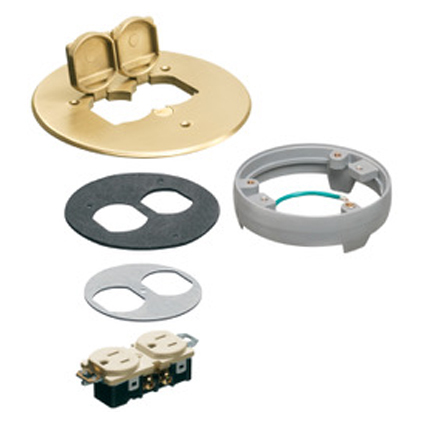 This brass, round cover with flip lids includes the 6" cover, gaskets, receptacle AND a leveling ring. Get a great-looking, time-saving receptacle installation in new concrete with floor box kits and covers from Arlington!